An article in the New England Journal of Medicine, is a pragmatic, evidence-based approach to best practice in treating sinus infections in adults, recommended by SUNY Downstate Medical Center’s Distinguished Professor and Chair of Otolaryngology Richard M. Rosenfeld, MD, MPH. Notable aspects are (a) a diagnostic flowchart for physician use that facilitates accurate diagnosis of bacterial sinus infections using only history and symptoms, and (b) an emphasis on symptomatic treatment of sinus infections, minimizing antibiotic use, even when the sinusitis is likely caused by bacteria. In the article, Dr. Rosenfeld notes that acute sinusitis is classified according to presumed cause as either acute bacterial sinusitis or acute viral sinusitis. 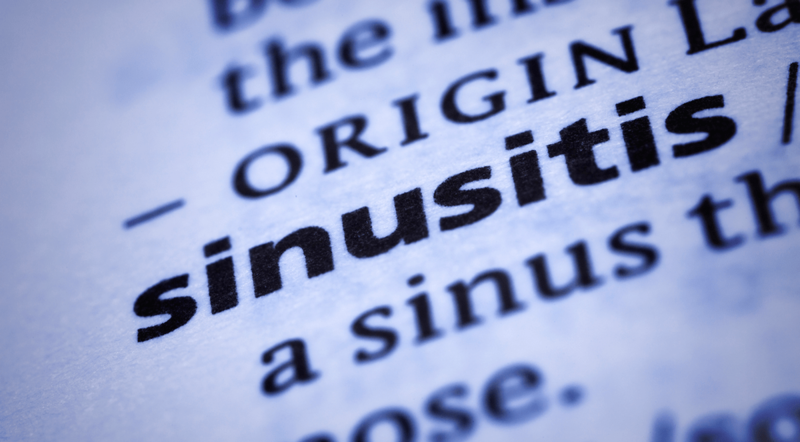 Although up to 90% of patients with viral upper respiratory tract infections have concurrent acute viral sinusitis, only 0.5 to 2.0% have sinusitis that progresses to acute bacterial sinusitis. Nonetheless, antibiotics are prescribed for 84 to 91% of patients with acute sinusitis that is diagnosed in emergency departments and outpatient settings, a discrepancy that relates, in part, to patient expectations regarding antibiotic therapy and to an inconsistency between clinical guidelines and antibiotic-prescribing patterns. Dr. Rosenfeld recommends that physicians should engage in shared decision-making with patients to determine whether to prescribe an immediate course of antibiotics or if a period of “watchful waiting” should be pursued. If watchful waiting is chosen, the patient may be given a “safety-net” or “wait-and-see” prescription for an antibiotic to use if the illness worsens at any time or if the symptoms do not decrease within seven days. The patient should be advised to contact the physician if the symptoms have not decreased by that time or if symptoms worsen at any point. PreviousCan a grass pollen allergy vaccine be effective against hepatitis B? The Changing Tide of Knee Arthroscopy in the U.S.